One month after the exclusive presentation of a JMF Audio ensemble in the largest auditorium of the Hong Kong Super Hi-End Audio Seminar (see the link at the bottom of the page), JMF Audio was represented at HKAV, the great audio-video event in Asia, at the Convention and Exhibition Center by Marvel Music. JMF Audio transport DMT 3.7, converter DXC 2.2 MKII, power line conditioner PCD 302 (walnut finish). "The JMF Audio's source outperfoms our previous [german made reference] SACD player by a wide margin". "You can quote my comment". Marvel, showroom manager. (now personaly owner of JMF Audio DMT 3.7 with DXC 2.2 MKII powered with PCD 302). 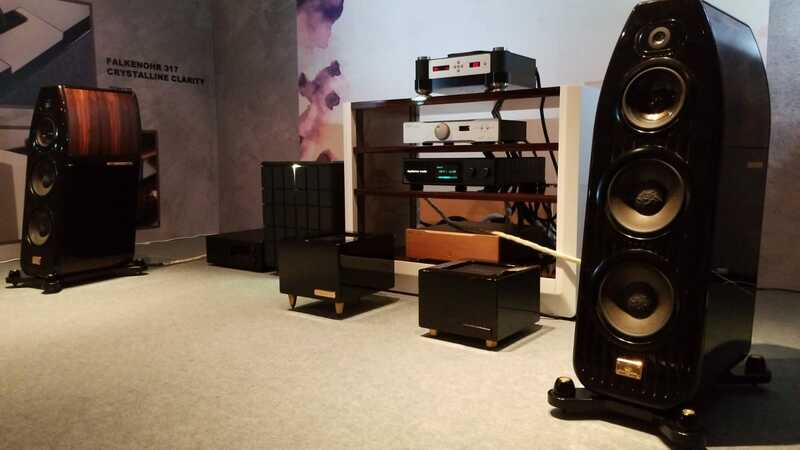 This presentation was a great opportunity for the audiophiles and conoisseurs to experience the JMF Audio sound imprint within a multi-brand high-end setup. We are expecially thankful to Marvel Music, Audio Exotics and Audiotechnique Magazine for their enthusiasm and support.